It seems lately that I have been shooting a lot of large group family photos. I love seeing big, happy families together! 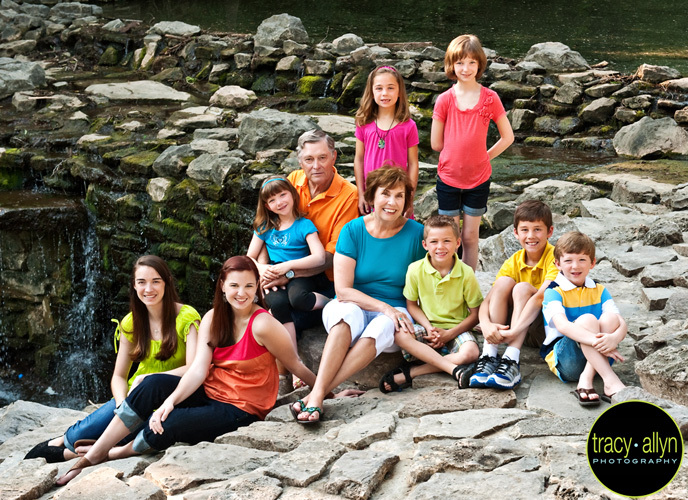 Recently, I photographed a group that goes way back with my husband's family. Shaun and Rob have known each other since they were little and he was in our wedding. My husband went to high school with his wife, Amy. So immediately after Shaun's large family session, Amy contacted me to schedule her side of the family for a session. Needless to say I was honored! The group showed up in so many bright, delicious colors that just epitomized summer. I loved it! We went to one of my favorite locations early on a Sunday morning and were able to get some great shots rather quickly. Today I'm sharing the whole crew along with some of the folks who started it all! Love shots with grandparents, don't you?